chop onion and tomato. slit the green chilies lengthwise and peel off the ginger skin and fine chop it. once it splutters, add curry leaves and red chili . cook covered until it turns mushy and then add thin coconut milk, salt. bring it to boil. If you need the curry to be even more spicier, add 1/2 tsp of red chili powder at this stage. let it cook for 3 - 4 mins in low flame and then switch off. 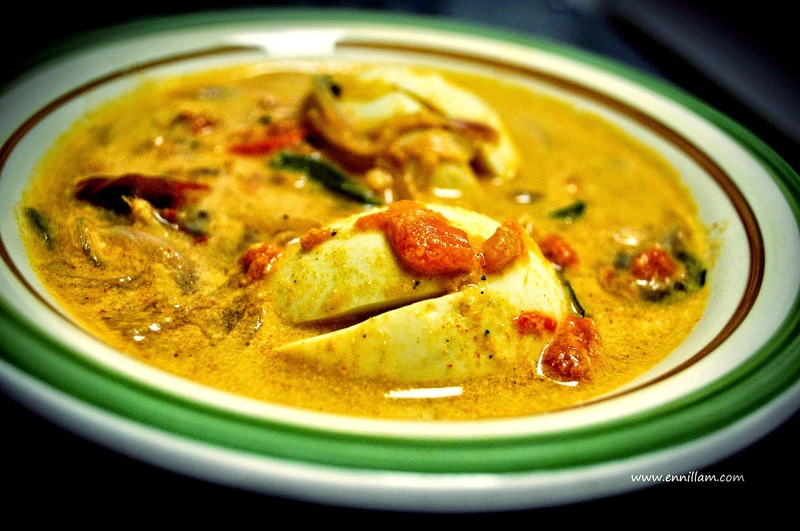 serve with hot rice, aapam, roti, chappathi or Idiyappam.